Simply stated, when investing in real estate, the goal is to put money to work today and allow it to increase so that you have more money in the future. The profit, or "return," you make on your real estate investments must be enough to cover the risk you take, taxes you pay, and the costs of owning the real estate investment such as utilities, regular maintenance, and insurance. Real estate investing really can be as conceptually simple as playing monopoly when you understand the basic factors of the investment, economics, and risk. To win, you buy properties, avoid bankruptcy, and generate rent so that you can buy even more properties. However, keep in mind that "simple" doesn't mean "easy." If you make a mistake, consequences can range from minor inconveniences to major disasters. You could even find yourself broke or worse. It is when the property increases in value due to a change in the real estate market, the land around your property becoming scarcer or busier like when a major shopping center is built next door or upgrades you put into your real estate investment to make it more attractive to potential buyers or renters. Real estate appreciation is a tricky game. It is riskier than investing for cash flow income. This type of real estate investment focuses on buying a real estate property, such as an apartment building, and operating it, so you collect a stream of cash from rent, which is the money a tenant pays you to use your property for a specific amount of time. Cash flow income can be generated from well-run storage units, car washes, apartment buildings, office buildings, rental houses, and more. It is income generated by "specialists" in the real estate industry such as real estate brokers, who make money through commissions from buying and selling a property, or real estate management companies who get to keep a percentage of rents in exchange for running the day-to-day operations of a property. This type of real estate related income is easy to understand. For example, a hotel management company gets to keep 5 percent of a hotel's sales for taking care of the day-to-day operations such as hiring maids, running the front desk, mowing the lawn, and washing the towels. For some real estate investments, this can be a huge source of profit. Ancillary real estate investment income includes things like vending machines in office buildings or laundry facilities in low-rent apartments. In effect, they serve as mini-businesses within a bigger real estate investment, letting you make money from a semi-captive collection of customers. There are several ways to buy your first real estate investment. If you are purchasing a property, you can use debt by taking a mortgage out against a property. The use of leverage is what attracts many real estate investors because it lets them acquire properties they otherwise could not afford. However, using leverage to purchase real estate can be dangerous because, in a falling market, the interest expense and regular payments can drive the real estate investor into bankruptcy if they aren't careful. You will almost NEVER purchase a real estate investment in your own name. 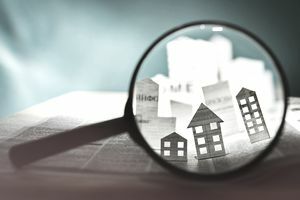 Instead, for risk management reasons, consider holding real estate investments through special types of legal entities such as limited liability companies or limited partnerships (you should consult with a qualified attorney for his or her opinion as to which ownership method is best for you and your circumstances). That way, if the real estate investment goes bust or someone slips and falls, resulting in a lawsuit, you can protect your personal assets because the worst that can happen in some circumstances is you lose the money you've invested. It lets you sleep at night because unless you've screwed up somewhere, your 401(k) plan assets, Roth IRA investment, and other retirement accounts should be out-of-reach. When you are ready to start the process of real estate investing, you'll want to decide which of the real estate investment type is most appropriate for you. Should You Invest in Real Estate or Stocks? What Are the Hottest Real Estate Markets in the U.S.?